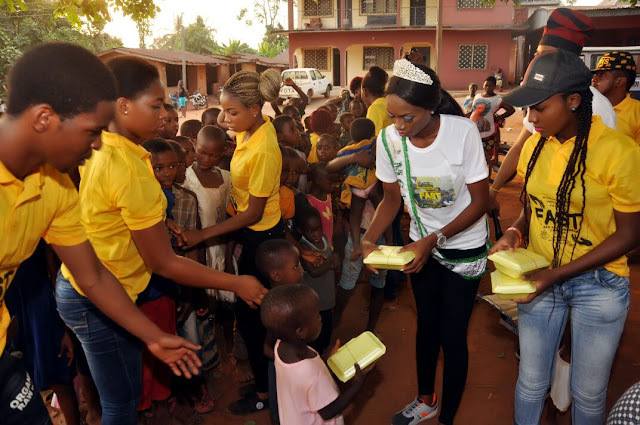 Queen Jennifer Nkeiruka Okorie has extended her campaign down to Anambra as she fed over 500 children in Mgbakwu community in Awka North Local Government Area of Anambra State. 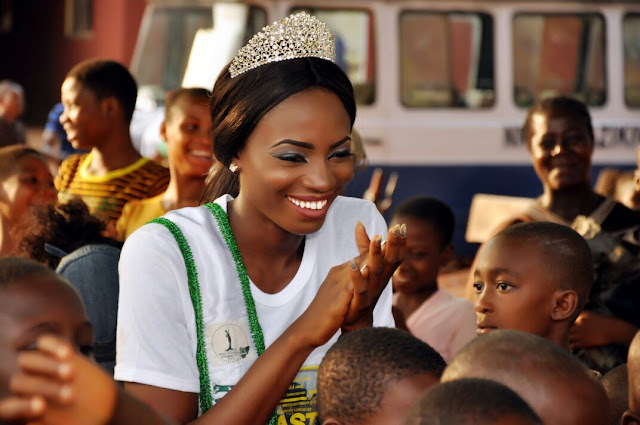 Okorie, who is the reigning Miss Global Ambassador Nigeria, has a plan of feeding children who may not have had a decent meal before. 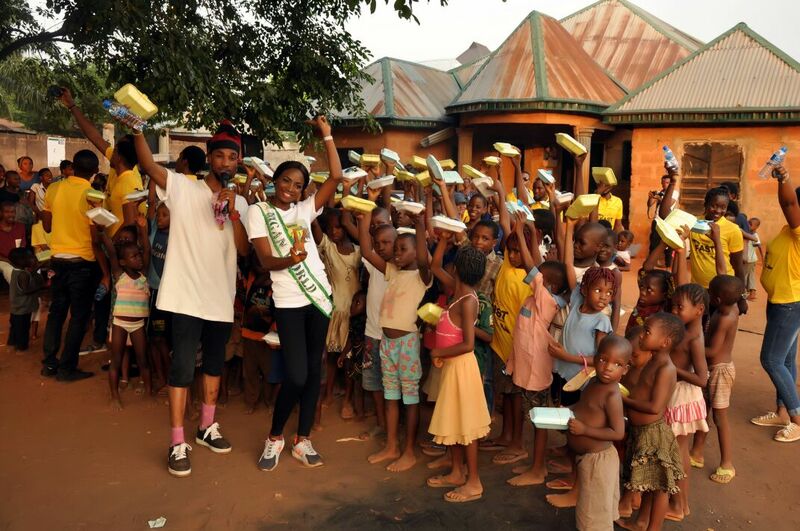 She first fed children in Lagos on January 21 before moving the train to Anambra. 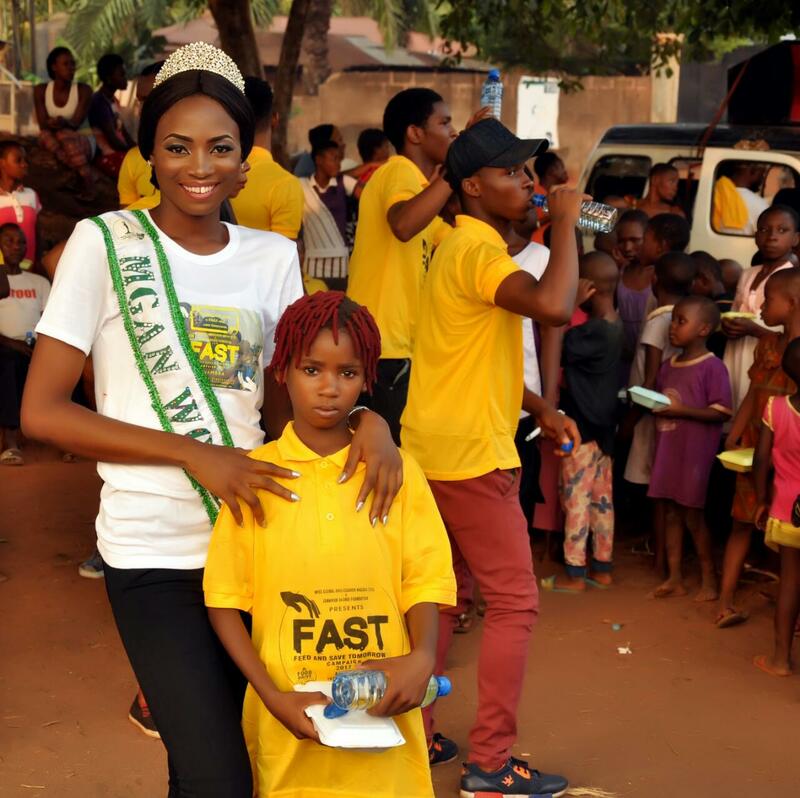 The aged, widows, widowers and less-privileged persons equally joined in the feeding programme named “Feed and Save Tomorrow” (FAST). The programme, according to Miss Okorie, shall drive through various states in the country, reaching out to the children living in creeks, who may not have access to potable water or good food. The celebration on the day was unprecedented, as the children, the aged and physically challenged stormed the community’s market square to be blessed with food by the beauty queen. 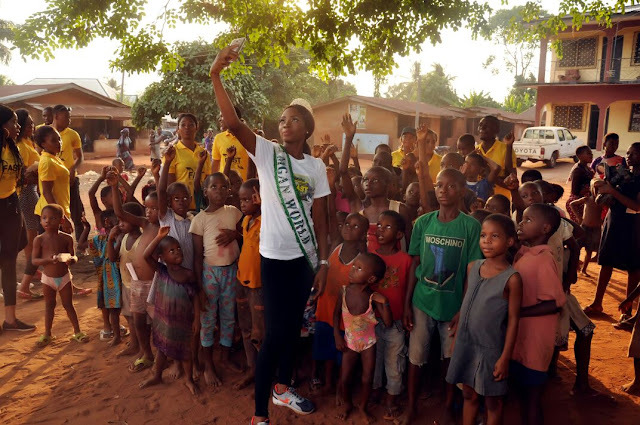 According to her, “I am not doing it because I have money; I am doing it because of the condition of the people not only in Anambra state, but throughout the country. 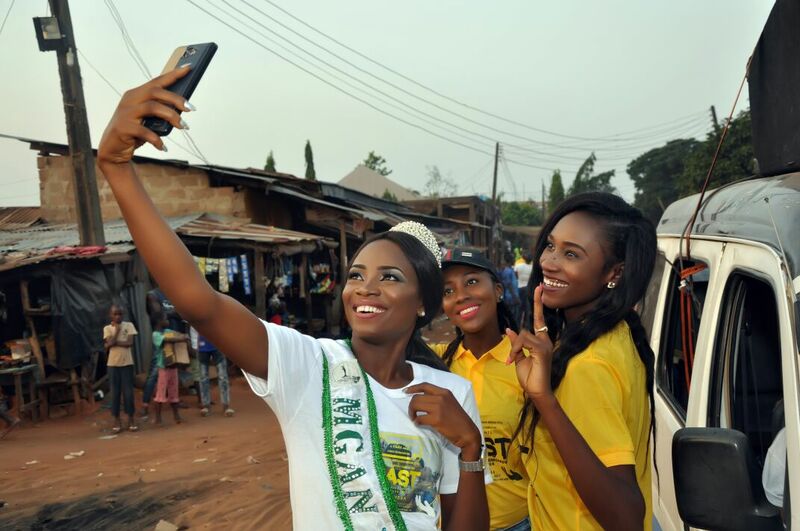 “This programme is not ending in Anambra, we did it in Lagos and very soon, we will move to my home state, Ebonyi and later on, other states. 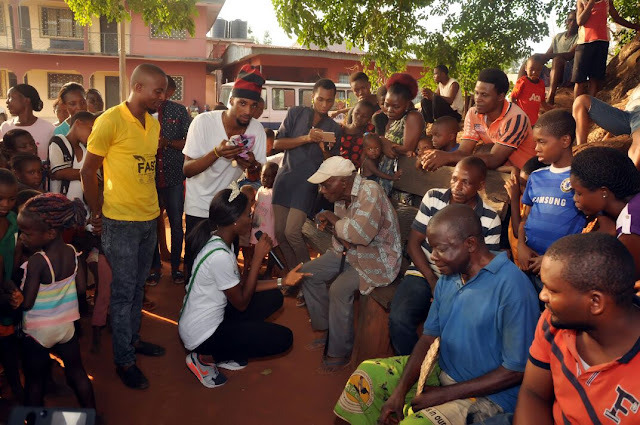 “When you look at the number of the poor, the less privileged, widows, widowers and physically challenged today in the society, one should be touched, I feel happy staying with such people. God bless you more dear.. I really Love what Queen Jenifer is doing. 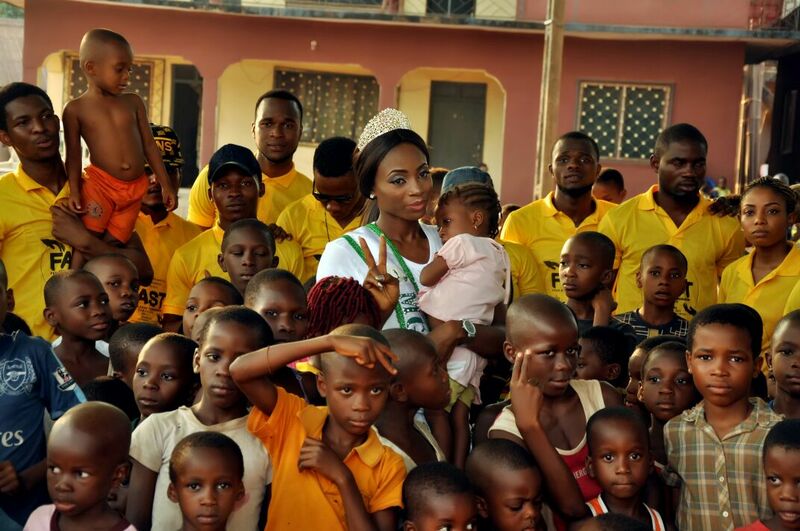 Such a noble thing to have a heart that cares for the poor.